Thank you for all you do, we really appreciate when a travel agent goes above and beyond. Hi Cindy - We all just wanted to thank you for helping us plan our spring break. We had an absolute amazing time! The resort was beautiful, the staff and food were great and it was everything we could have hoped for! Thank you again for dealing with us throughout the entire process. 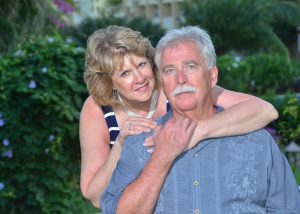 I talked with Cindy McCabe of Bethany Travel and she worked with us to fit our needs and stay within our budget. Cindy was fantastic and I can't wait to work with her again for our next vacation. If you dont know where to begin, contact her and she can definitely help get your vacation planned with ease! We had a great time on our Sandals La Toc trip! Everyone at this resort was friendly and helpful. The food at all the restaurants was great! Our room location gave us a beautiful view of the sunsets as well as a couple rainbows. Also, having the butler service was a great choice. The Joe Knows tour was also a great recommendation. Attached are a few photos. Thanks for your help in making this a great memorable vacation. I just wanted to let you know we (Lariscy and Figurski family) had an awesome time at Disney. Thank you for all of your help. Everything went smooth from the time we flew out till we came home. The Disney dining plan was great. It was the first time we had ever done that. At times it was more food than we could eat. We had awesome meals at Mama Melrose, Tokyo Dining and Nine Dragons!!! The weather was perfect. We got on rides right away, the crowds were minimal. Sara got a lot of autographs from the Disney Characters and Princesses. 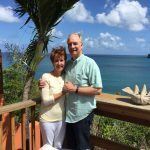 I've been meaning to get in touch with you, and tell you how happy we were with how our honeymoon at Gran Melia Puerto Rico was handled last June. Everything you guys set up for us was great, and went great! We couldn't have been happier with all arrangements, no exceptions.Hotel accommodations were fantastic. The staff was wonderful, again, without exception. 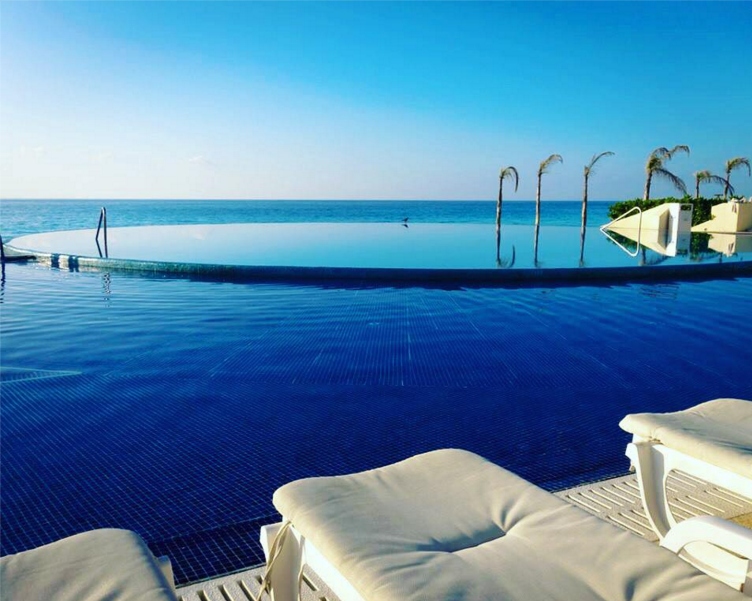 We would be more than happy to recommend you and the resort, to anyone. WE had an amazing time at Sandals Antigua!!! We got to have dinner at the top of the tower for our wedding dinner, it was beautiful! For your future brides tho, United doesn’t have a place to put your wedding dress, they shoved it in an overhead bin, I had a little heart attack! Thank you so much for planning our destination wedding at Sandals Grande Antigua! Everything went so smooth and was so easy and fun!!! Our guests had a great time, would we do it again…most definitely!!!! We had a wonderful time on our honeymoon at Sandals in Montego Bay, Jamaica. We appreciate all of your help in our honeymoon process. The trip was one of our best trips that we have ever been on. All of the staff were all very friendly and helpful. Thanks again for your help. We look forward to you helping us in the future. We wanted to Thank you for a very well planned vacation. We all loved it. Thanks for the fruit that you sent us, it was very good. All of us were so impressed, we are glad we took your recommendations. I would recommend this resort to anyone. Thanks again, for planning us a very memorable vacation. On behalf of Jess and I, we want to thank you for all of your help in setting up our honeymoon. Everything went very smooth and we had a wonderful time. It was most definitely a unique experience and we would love to return in the future. We will recommend Sandals Grand St. Lucian to all of our friends and let them know how much help you were. The weather for the wedding and the trip was perfect. Best of luck in the future. Everyone raved about Sandals South Coast, it’s private beach, and the over-the-water chapel. Cindy was spot on in picking the perfect location for our wedding. She is always available for phone calls and emails and responds promptly. Her and Kelly even helped me pick my wedding hastag, which I was at a loss for. Just a week before we left, she sent everyone the cutest beach bags to use while we were down there. Everyone thought that was great and used them frequently. Cindy and her team truly went above and beyond at every opportunity and made the process go so smoothly. I will be using her time and time again. Thank you Cindy and Bethany Travel for making my wedding dreams come true. We had a great time! on our Princess Alaska Cruise Tour. The trip was at least 99% positive, with the remaining 1% being uneventfully unimportant to mention. We didn’t get to see the “Great One” while at Denali due to rainy weather, but on our way to McKinley Lodge on the train, and for the whole next day, she was “out” in all her glory. The attached picture was taken in Talkeetna. The Kenai Lodge was exceptional, except for the climbing to reach our room. Otherwise, it was the best of the land places in Alaska. I did note that the food there was quite spicy for my tastes, especially since I emphasized to the wait staff that spicy would not be acceptable. Unfortunately, it was a waste of my time to request non-spicy food. I did comment on this in my evaluation to Princess. I also mentioned that we were fed extremely large portions during the land portion, but our meals on the ship were just right. The Coral Princess was a real nice ship; not too big, not too small; just right! Everything worked out nicely. Vancouver was great. Staying right on the harbor was perfect. We hiked some in Stanley Park and had a good time. I’d go back to Vancouver in a minute. Thanks for pointing us in the right direction on this top priority on our bucket list. Your very thoughtful welcome home card arrived today-perfect timing and very impressive. Because of your excellent service and that thoughtful touch, Dream Vacation, Inc.is my travel agency of choice, and you are my favorite travel agent. 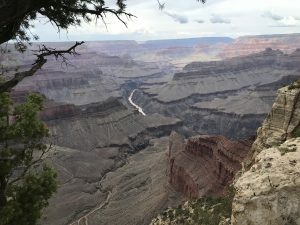 Our trip to the Grand Canyon was unforgettable and so awesome!!! Words cannot describe the scenery!!! Becky at Bethany Travel did an excellent job at arranging everything for us and gave us helpful tips to make the trip so easy and stress free!!! 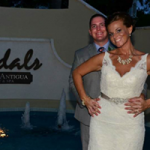 Cindy, We cannot thank Cindy from Bethany Travel enough for planning and booking our honeymoon at Sandals Grande Riviera in Ocho Rios, Jamaica! Being our FIRST time using a travel agent, I really wasn’t sure what to expect but now I can honestly say that I will NEVER book a vacation on my own again!! We walked into Bethany Travel, told Cindy what our budget was (we honestly did not think we could afford a tropical honeymoon), and Cindy simply said “Okay, how about Sandals?” Cindy did EVERYTHING for us! She found us the cheapest non-stop flights at the BEST times, booked everything for our honeymoon including the tours we took in Jamaica, PLUS did a wedding registry for us! I still can’t believe that I didn’t have to do a single thing for the honeymoon! She literally did it ALL! We can’t thank her enough for making our honeymoon sooo easy for us! On top of booking the honeymoon she even found a FANTASTIC hotel room at a CHEAP price near the airport the night before our flight took off! I really believe she went wayyyy above and beyond the call of duty for us! Our stay in Jamaica was AWESOME! The rooms were excellent! She even made sure we knew who to tip and who not which was VERY helpful to us in Jamaica! When we came home we found a welcome home card that she had mailed to us! And we didn’t pay a single extra penny for her services! We are already planning to go back to Sandals and when we do Cindy will be the one we go to! Thank you sooo much Cindy!!!! We are back from our cruise and it was wonderful. Wanted to let you know that we were ultimately upgraded to a mini-suite on the ship. Many thanks to you and your staff for making the arrangements for this trip for us. It was a wonderful way to celebrate our 40th anniversary! We booked Beaches Ocho Rios for the third year in a row! Our children are 4, 9 and 10 and find there are plenty of activities for them either at the pool and beach or if they want to participate in the kids camp. 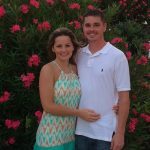 With the kids camp dinner option, my husband and I were even able to have a dinner date night! 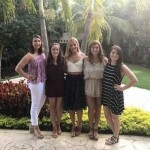 Our travel agent, Cindy McCabe informed us about Club Mobay prior to our trip. We wouldn't travel without it! It's so worth the cost!! Not waiting in a three hour line at customs with 3 children is an added bonus! I highly recommend it. We are excited to go back next year! Dear Becky, I just wanted to take a minute to thank you for handling my questions/discounts today on our Princess British Isles Cruise for May 2014. Once again, Bethany Travel did an EXCELLENT job of getting me the BEST possible deal on our anniversary vacation! Thanks… you are by far the best travel agency I have ever dealt with!! Cindy and Becky, Our Disney trip was absolutely amazing; it was truly a magical vacation!! Haley was the perfect age to enjoy this trip; she loved meeting all the princesses and characters. Of course, us adults felt like kids, too! We wish it could have lasted longer. Thank you for all your assistance and patience with making our family vacation full of memories! We will definitely visit Disney again!! Special thanks go out to Cindy and her staff at Bethany Travel/Dream Vacations for the excellent job they did coordinating our family trip to Walt Disney World to celebrate our 30th wedding anniversary. The airplane flight and connections went smoothly. 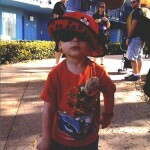 We loved staying on-site at Disney World and being so close to everything. All seven of us had a magical time. Our grandson, Eli, especially loved getting to see Mickey Mouse and all his friends. We want to go back again soon! I just wanted to drop you a note to let you know how very pleased we were with our vacation. 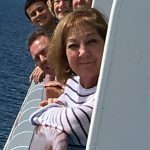 Although we don’t travel that often, I have never booked such a trip on so little research â€“ I entrusted the judgment of Bethany Travel and was very glad I did. The resort was everything we had hoped for. I am not sure how this happened, but our room was just beyond the basketball court and water sports. I could not have planned it any better. The boys could play basketball and we could see them from our room. ( We have become so accustomed in our world to text and know where they are all the time, this helped) We would keep an eye on the water sports and just walked over and skied when we wanted. It was just perfect. Please let everyone in your office know how glad we are to have used Bethany Travel & Dream Vacation. I would love to go again next year! Cindy and Bethany Travel/Dream Vacations were great to work with in planning and booking our honeymoon to Sandals Halcyon in St. Lucia! Cindy helped us to make a destination selection that had all of the characteristics we were looking for, answering our many questions and going over our different options. Furthermore, their honeymoon registry was so easy to use, and by far, the best value with no fees taken out. All of the staff was courteous and helpful throughout the entire process. I would definitely recommend Bethany Travel to our friends. You have absolutely no idea how glad I am that we decided to book our destination wedding at Beaches Negril with you. I have not been worried about one single thing getting taken care of thanks to you, and have felt so comfortable asking you any questions or telling you any concerns I had. You have made this experience so stress free and for that I cannot thank you enough Thanks again for being such a wonderful travel agent!! I can’t wait to share a few pictures with you when we get back. I just wanted to say “Thank You!” for all of your help in organizing our wedding cruise through Norwegian! I know we were probably a bit of a difficult group but I appreciate you hanging in there with us! You have been wonderful and we will be calling you in the future to book our cruises & vacations, as well as, recommend you to all of our friends. Thank you for everything, this was the best vacation ever!! Hi Cindy, WE ABSOLUTELY LOVED OUR HONEYMOON! 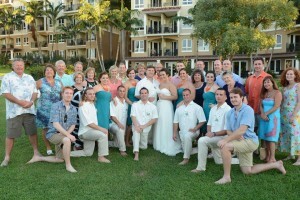 They were wonderful at Sandals La Toc in St. Lucia! We can’t wait to go to another Sandals in the future, with your help of course! Thanks again for everything! By the way, we loved the pitons hike, the views at least. The hike, or climb rather, was quite difficult, but well worth it! And Joe Knows Excursion was soooooo much fun! I wrote a review about your agency on wedding wire! All 5 stars of course! We will be in contact with you for out next sandals adventure! Of course! Let me know if you need more! We had a GREAT time! It was our first Sandals experience and, while other veterans of Sandals said it wasn’t up to typical Sandals standards, we thought it was great! 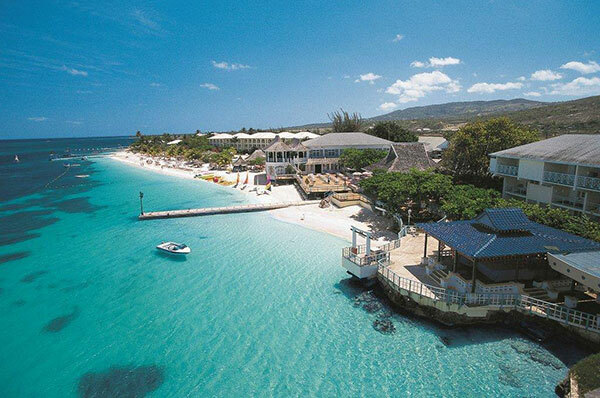 So if someone hasn’t been to Sandals but wants to visit Barbados, we think it’s a great place to start! We didn’t have a base to compare it to (Sandals-wise) and thought the grounds were gorgeous! The people were very friendly and the food was good all but one night (which was partly our fault bc we went at closing). We wouldn’t recommend the Ostini’s outing that they push, but the live entertainment on site is wonderful and so is the midnight chocolate bar! 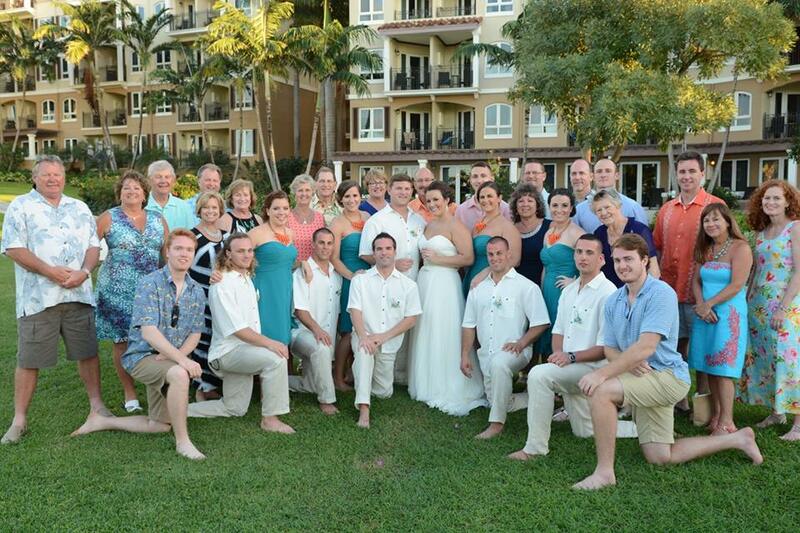 We had an awesome time at Sandals Regency La Toc in St. Lucia! I’m ready to go again!! The weather was wonderful, the resort was beautiful and the people were great! I couldn’t have asked for a better vacation! Thanks for everything you’ve done and I’m sure you will see us again soon! 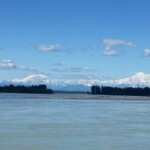 These pictures sum up how great our Alaskan cruise on the Island Princess was! Having our cabins together made it a fun way to communicate, too. Our excursions were outstanding with 3 that stood out. The Saxman village, the Skagway trolley & the Sun kennels were the best. The food was great & eating together every night was a great way to share what we had done all day. The rain stopped by Skagway & we were privileged to view Mt. Denali for an entire morning from the porch of the McKinley lodge. Awesome! Thank you for arranging everything for the Borrin family! Ronnie and I want to thank you for all the work you put in to help us find our perfect wedding destination. We can easily say that we have never visited a more perfect destination. Punta Cana is fabulous! We had the most amazing time. Now Larimar was superb! Our room was amazing… and a Jacuzzi on the balcony! The room really was in a great location, the view overlooking the fountain and the pools, the palm trees and even a glimpse of ocean. Beautiful! Food, activities, drinks and everything about it was amazing too. Such a beautiful place. The four days we spent in Secrets were wonderful too. Very quiet, secluded, and beautiful resort. And you can never go wrong when a lazy river is right on your front porch! We had our wedding ceremony at the fountain area, which couldn’t have turned out more beautiful. We also managed to do sightseeing trips around Dominican Republic and even the Saona Island. The beautiful blue lagoons, the mountains and local towns, and even swimming with the dolphins. Our memories of this wonderful trip will be life lasting. Be sure to know that we will always be your customers and any chance we get, we will refer friends to you as well, knowing that they, too, would receive your great service. Thought I would follow up after our trip to Jamaica let you know that we had a FANTASTIC time! The food, service, and drink were excellent! As far as the butler was concerned, we had two - Novia and Conrod. We loved both of them, and they took great care of us. Even though Novia handed us a dinner schedule that we didn't arrange or think we needed or wanted, it ended up being a plus. We tweaked the dinner times a little, but other than that we just about stuck to the restaurants they picked out for us (Kimonos was SO much fun - our best night). 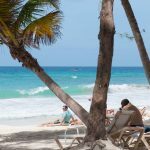 We loved having our chairs set up for us as well as a stocked cooler everyday on the beach, this is a great plus for the Two and Three Bedroom Suites at Beaches Negril with butler service. Would we do it again? Absolutely! Thanks for letting us know that Beaches in Negril would be for us - it was!!!! We received your card in the mail as well as your email. We had a GREAT time at Sandals in Jamaica!!! The room was beautiful, many places to dine, and we got lots of pictures taken which turned out great as well. We are definitely discussing going back on our 5th wedding anniversary to celebrate. We are looking at trying a different resort so we can visit other places…I think the Royal Bahamian looks like our next resort to visit. 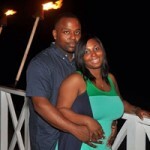 And we definitely want to go back to Jamaica on our 10th anniversary to renew our vows on the beach!!! We will be back for sure hopefully more than a few times. 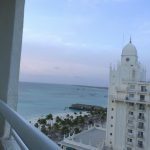 It was a great deal and all-inclusive is perfect for us! Thanks again for all of your help and services. We will be contacting you when we’re ready to book our next Sandals trip or any vacation! Hello Cindy! We wanted to write you and tell you again how much we appreciate everything you have done for us over the past year! 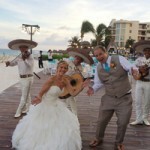 Your knowledge, suggestions, and hard work made our destination wedding the easiest and most memorable vacation ever. We had such an amazing time at Sandals Grande Riviera! I could not imagine having to plan and organize the trip without your help. This was the first time using a travel agent for either one of our families, and I can honestly say that your services are priceless and I would recommend Bethany Travel to anyone that will listen! Thank you for everything!! At the airport in Punta Cana about to depart for home. Not only did we have perfect weather - as you stated (never such an off base forecast from weather app), but the entire trip was perfect. In fact, it was our best family vacation ever. Immense gratitude for organizing such a phenomenal experience at Dreams Punta Cana and apologies for questioning the sunshine! Would go back without hestitation next year! 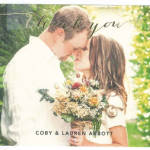 We found you an absolute pleasure to work with and just adored receiving your "welcome back" card when we came home. We would like to thank you for your knowledge on the Iberostar Punta Cana Resort in Dominican Republic. The trip was amazing and we meet some really great people. We will be in touch in the near future for our travel plans for next year. Thanks Again!! 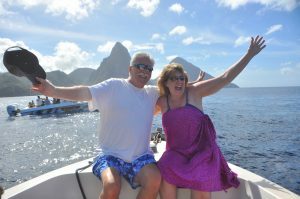 Cindy, We had an amazing time in St. Lucia! Sandals Regency La Toc was wonderful. Everyone was so friendly and treated you like royalty. Our room was very nice but quite a hike up the hill. We soon learned to take the shuttle up. We did walk down the hill often just to enjoy the views. One night we took the shuttle to Sandals Halcyon Resort and ate at Kelly’s and it was delicious. Although the Halcyon Resort was nice I’m glad we stayed at La Toc. Seemed like more activity at La Toc which is what we like. I can’t say enough about our stay, it was just wonderful! Thank you and Becky for your help and suggestions. I can’t wait to take another trip and stay at a Sandals Resort. My wife and I would like to thank you again for the amazing job you did for our honeymoon. We had never used a travel agent before but you came highly recommended from so many people. From the first email I knew we had made the right choice in using Bethany Travel. The planning of the trip and the options you made for us was so easy and quick, that it took one stressful thing of planning a wedding right out of the equation. Not only did you plan a dream vacation for us, your help when our flight home was cancelled was remarkable. In a time of chaos and uncertainty the fact that you were on the phone with our family well past most people’s bed times on Saturday let us know that we were in good hands. The compassion you showed for our safety and the quick action to book us on a new flight before the airline is what made us 2 out of 7 lucky travelers to get home early (the other 5 being your clients as well). We will never be able to thank you enough for going above and beyond for our honeymoon to the Iberostar Grand Hotel Rose Hall in Montego Bay, Jamaica. You didn’t just provide us with a service, you provided us a sense of comfort because we knew you would look out for us. We will recommend you to anyone and everyone as well as continue to use Bethany Travel for our trips to come. 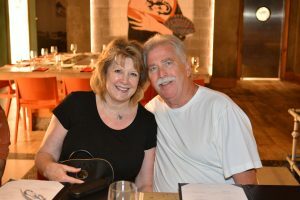 Hi Cindy - We g ot back from Riviera Maya on Tuesday (12/1) and we had a FANTASTIC time! I just wanted to say thank you for all of your help and recommendations. 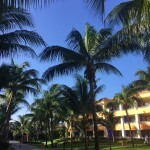 The Bahia Principe Tulum was a great all-inclusive experience. The restaurants, pools and beaches were all very nice. We also did a day at Xplor with excellent zip-lining and cave exploration. I can't wait to go back! Thanks again! I just wanted to tell you what a wonderful time we had at Beaches Turks and Caicos. The Beaches all inclusive resort definitely spoiled us. Unfortunately my son got sick while we were there. I was pleasantly surprised to find a full-time nursing station at the resort. Devon had a 103.9 temperature. The nurse called in a doctor who came out immediately. Devon had strep throat and a double ear infection. The doctor gave us a prescription and was able to get Devon better so he could enjoy his vacation. So, thank you very much for everything. We had a great time! BTW-My husband loved the flo-rider, lol! Hi Becky, We returned today from our cruise on the Carnival Pride and I just wanted to thank you for your help in booking it. The cabins you chose for us were awesome. We had a wonderful vacation and look forward to booking with Bethany Travel and you in the future. Just wanted to drop you really big Thank you. It’s very nice to come into your office tell you what we would like, you and Susan took over from there making sure everything was taken care of from start to finish and answering all of our questions. 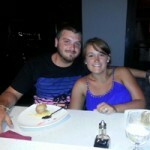 The vacation we took to Sandals Montego Bay was the most enjoyable, relaxing vacation we have taken. Sandals Montego Bay is a very nice resort, the room was great, I don’t think we came in contact with one single person that did not have a smile on their face. Already looking forward to our vacation next year for our 10th Anniversary. I’m thinking someplace sunny and warm. Barbados was wonderful! Thank you so much for all your time & help making our Wedding Day/Honeymoon Perfect!! Thank you for your welcome home card. Just wanted to let you know that we had a wonderful trip to the Domincan Republic, NH Royal Beach. Everything was as you said it would be. The accommodations were great, our view was over the pool bar and out toward the ocean on the 2nd floor, and we had a welcome basket upon arrival. Thank you. We had a great time, very relaxing, but also plenty of things to do if you wanted to. We took one of Apple’s excursions which was very educational and our tour guide was great. The food was very good with many options to choose from. Since we had never done this before, we tried a lot of the a la carte restaurants. The buffet was great as well as the barbecue on the beach – chicken and hamburgers – good as home. All of the employees of NH were always willing to help with anything. We went to the Apple Vacations dinner on Friday evening and sat with two NH employees. They shared info about the resort as well as the Dominican Republic. We saw them several times during the week. Thank you so much for all of your guidance and suggestions. We are now hooked on all inclusive and Apple Vacations. We will certainly plan another trip, hopefully soon. We want to thank you for booking another wonderful Disney vacation for our family. Everything was great – Bay Lake Towers at Walt Disney World is fabulous and our 4 year old grandson absolutely loved the monorail. Wore his engineer’s hat every day. Weather was great. Thank goodness for park hopper tickets and meal plans. My kid’s said the Magical Express was great – impressed with how Disney takes care of getting the luggage and getting them back to the airport. The week went by far too quickly. Got to all the parks and got to use the pool at Bay Lake Towers. 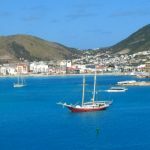 Ed and I think our next vacation we book with you will have to be a cruise maybe to the Caribbean or Bermuda again – we will have to touch base with you about that soon. Once again, thank you so much. Bethany Travel always comes through. Just wanted to THANK YOU! and also Susan for a wonderful cruise. We had a great time and everything went smoothly. You do an awesome job and we look forward to your service in our future trips. Again, thank you!! Thank you for your smiling voice answering my call today! Thank you for taking care of our flight! Thank you for making it all so painless and absolutely joyful! Grateful for your expertise in what can be so confusing for those of us who find ourselves lost in the ‘hurry-up-robot-like’ inquiries when we call to make arrangements for what we WANT to be a wonderful, happy experience from the moment the vacation takes form! Blessings from Harrington, Delaware! Thanks for your help in booking our upcoming vacation to Dreams Punta Cana. As always –you are great to deal with. It makes traveling a real pleasure. Again thanks. Hey Cindy! 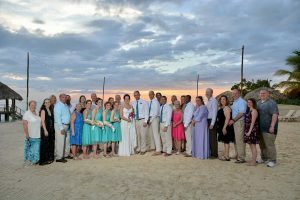 We wanted to write to you and thank you for all the help you and your wonderful team gave us when planning our destination wedding at Dreams Riviera Cancun. We had an amazing time in Mexico with almost 60 of our family and friends staying at the resort with us. The Dreams resort was absolutely perfect, we could not have picked a better location to say “I do.” Everything in every single way surpassed our expectations! So thank you so much for helping us create such a memorable experience for not only us but our guests as well. We could not have done this without you!! We had a great time at Disneyworld with the grandkids. It was exhausting but very satisfying. The Fast Passes were a great help as well as the dining program. The next vacation will be for Grandma and Grandpa. Thanks for all that you do for us, I really appreciate your help. I always had reservations about traveling but you have made it so easy that I look forward to our adventures instead of dreading them! 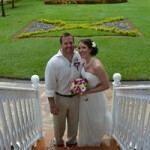 Everything went GREAT with the wedding at Riu Palace Tropical Bay in Negril! We had a little rain (but it rained a little every day around the same time) but it was still beautiful. Everything worked out as planned and we had a great time! The Apple Vacations Rep that was there was so helpful for us. We were so pleased with the company. You did an awesome job preparing this trip for us and we are so grateful for what you did and all the questions you answered for us! Always glad to recommend Dream Vacations. Your attention to details always makes our trips more enjoyable. Also appreciate your continued support of our barbershoppers in Sussex County! I can't thank you enough for making the Honeymoon such a breeze and incredible! We have suggested Sandals Whitehouse to everyone! We will never NOT travel sandals/beaches again! The resort was incredible, if you are into adventure and landscape it was breathtaking. The staff turn into family within a week and treat you like gold. The food is outstanding. So much fun with so much to do! Zip lining the waterfalls was so beautiful! Best massage I have ever had at the spa! And The Pelican Bar is by far the coolest bar in the world! In my mind anyone going to whitehouse MUST go on that excursion! We reminisce daily! Perfect trip! Bill & I would like to thank you for all that you did to make sure the cruise went smoothly. We feel that you went above & beyond the norm. We will definitely use you for all our travel needs in the future & will recommend you to all our friends. Again thanks so much for all that you did. Cindy,I cannot express my gratitude for all of your help this past weekend when our flight home was cancelled by the airline. There were still people on Sunday afternoon that had no ticket out of Montego Bay and those who were able to get on the “additional flight” provided for our cancelled flight I know left late evening but were in a constant state of not knowing what their travel plans would be the entire day. To know that you were on the other end of the phone line on your cell working for our best interest was a huge relief and thanks also for working with my parents. 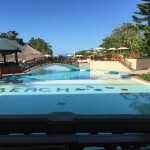 I do want you to know that we really enjoyed our stay at Beaches Negril. The staff was excellent, the activities were perfect for our family, the nightly entertainment was just enough and enjoyable, the food was good and abundant (just ask my husband who always seemed to be walking around with two ice cream cones – one in each hand). We aren’t big drinkers but enjoyed the drinks we had and I am sure our girls drank more virgin pina colada’s that week than most people would have access to in a lifetime. The scenery was beautiful and peaceful and we couldn’t get enough of that deep blue water and gorgeous beach. The resort was a perfect size for us as well. Thank you so much for that recommendation. I wish I had your business card with me in the airport – both Saturday and Sunday. I couldn’t stop talking about what you did for us so I could have handed out a bunch of them!!! away and for all of you knowledge about the resorts. We just wanted to tell you that our trip to Canada was wonderful. Every day was beautiful. We didn't get any rain until our last day on our way home. You did everything to make our trip go smoothly. It was a trip of a lifetime. Thank you for all your hard work. If we go anywhere else we will be getting up with you & Bethany Travel. Thanks again! Thank you for the Welcome Home greeting...and what a memorable trip! Thank you for helping us with our travel plans. We will definitely be repeat customers, given the chance to travel like this again. 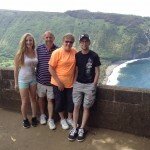 We went with adventureinhawaii.com to book our activities...what a great site that was too. Thank you again! Well we made it back! It was an amazing once in a lifetime trip to Alaska for both Howard & I. It was more than we had expected and want to thank you for setting everything up for us. We could never have done it without Bethany Travel. I tell you Princess Cruises really has it together!!!!!!!!!! 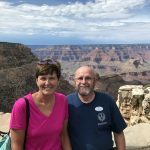 They never missed a beat on having our things where they were to be on time & even before we got there. . Howard & I commented on it several times as we were making transfers from one place to another how they made our Alaska cruise tour so easy. Again, thank you so much for making this trip & our 30th anniversary celebration one to remember for years & years to come. I wanted to say thank you for all of your help in making our honeymoon so wonderful! Sandals Grande Riviera in Ocho Rios. Jamaica was absolutely amazing! Our honeymoon villa suite was absolutely beautiful! The people at the resort were all so friendly and the expression, “ya mon” has really stuck with us! Tasha and Ricardo our butlers made our stay so relaxing and luxurious! They were great! We swam with the dolphins which was our favorite experience! Thank you for getting that together for us. The food was delicious the people were wonderful! We definitely hope to go back in the future! Thank you again for all of your help!